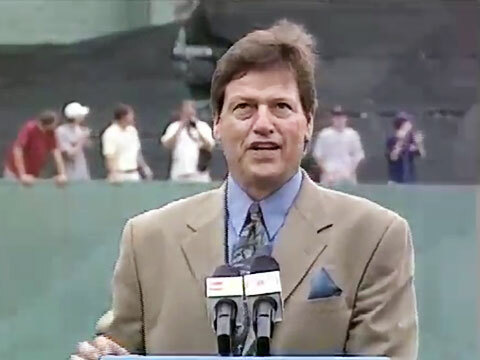 Watch Carlton Fisk speaking on Sept. 4, 2000 as the Red Sox retire his number. Carlton Fisk is a former MLB catcher. During his 24-year baseball career, he played for both the Boston Red Sox and Chicago White Sox. Fisk was known as a fierce competitor and a natural on-field leader. He was elected to the Hall of Fame in 2000. If you would like to book athletes like Carlton Fisk for a speaking engagement, autograph signing, guest appearance, product endorsement, charity fundraiser or event, contact Carlton Fisk’s booking agent for appearance and speaker fees or call Playing Field Promotions at 1.800.966.1380.